In 1928, Charles Kettering and Thomas Midgley, Jr., scientists with General Motor's Research Corporation in Dayton, Ohio, invented chlorofluorocarbons (CFCs) as a safe alternative to toxic and flammable refrigerants. In 1974, Mario Molina and F. Sherwood Rowland published a paper in Nature that linked the use of CFCs to destruction of Earth's stratospheric ozone layer. Today, the international community has made substantial progress toward phasing out the production and consumption of CFCs and in setting up the mechanisms that should help to restore the damaged ozone layer. Ozone is a molecule consisting of three oxygen atoms (03). Approximately 90% of Earth's ozone is found in the stratosphere, the region of the atmosphere that is between 10 and 15 km above Earth's surface. Stratospheric ozone helps regulate Earth's atmospheric temperature structure by absorbing damaging ultraviolet sunlight (UV-B). Stratospheric ozone depletion is primarily caused by human-made chemicals containing various combinations of chlorine, fluorine, bromine, carbon, and hydrogen. Collectively, these compounds are called halocarbons. They can be divided into compounds containing carbon, chlorine, and fluorine (CFCs) and those containing carbon, bromine, and fluorine (halons). CFCs are used in refrigeration, air-conditioning systems, as foam blowing agents, for cleaning electronic components, and as solvents. Halons are primarily used in fire extinguishers. These compounds break down when they enter the atmosphere; then chlorine and bromine atoms react with ozone to catalyze its destruction (WMO, 1995). The possibility that human-made substances may cause stratospheric ozone depletion was first raised in the late 1960s and early 1970s as part of debates about the development of a large fleet of high-flying supersonic transport (SST) aircraft. These aircraft were to be designed to fly at the speed of sound at an altitude of 45,000 ft (well into the stratosphere). Opponents of the SST program raised concern about the sonic booms the aircraft would cause. Several scientists also suggested that water vapor and nitrous oxide emitted by SSTs would catalyze a chemical process leading to the breakdown of stratospheric ozone molecules. The United States, fueled by public outcry over the sonic boom concern and with full realization of the adverse economic aspects, canceled its SST program before the link between nitrous oxide and ozone depletion could be further investigated (Cagin and Dray, 1993; NAS, 1975). It was Molina and Rowland's 1974 article that prompted the scientific community to explore the role of human-made substances in depletion of the stratospheric ozone layer. In 1995, Rowland and Molina were awarded the Nobel Prize in Chemistry for their work in explaining how the stratospheric ozone layer is destroyed. They shared the award with Paul Crutzen who was recognized for his research linking nitrogen oxides with ozone depletion. This marked the first time the Nobel Prize was awarded for environmental work (Lipkin, 1995). Stratospheric ozone depletion was recognized as an environmental problem in need of international attention because it impacts both humans and the natural environment. When stratospheric ozone levels decrease, the amount of UV-B reaching Earth's surface increases (WMO, 1995). The changes in UV-B radiation are highest at high and midlatitudes in both hemispheres while the increases are fairly small in the tropics (UNEP, 1994). Increased levels of UV-B affect human health, the productivity of plant and animal species, as well as the composition of ecosystems. Ultraviolet exposure does have some benefits for humans. For example, it initiates the production of vitamin D3, which is believed to inhibit the growth of tumor cells (UNEP, 1996). However, the balance of evidence indicates that the effects of stratospheric ozone depletion on human health are negative. The major risks include increased incidence of eye diseases, skin cancer, and infectious diseases. When UV-B levels increase, two main organ systems are exposed: the eyes and the skin. The impacts of ozone depletion are mediated through these two systems (Longstreth et al„ 1995; UNEP, 1998). Evidence suggests that increased UV-B radiation exposure may be associated with an increase in the incidence of cataracts, a clouding of the lens of the eye (Longstreth et al, 1995; UNEP, 1998). One review of research on this problem reported that a 1% increase in stratospheric ozone depletion would result in a 0.6 to 0.8% increase in the incidence of cataracts (UNEP, 1994; see also UNEP, 1998). The most widely known impact of increased UV-B radiation on human health is skin cancer. UV-B radiation damages deoxyribonucleic acid (DNA), which may cause gene mutations and the formation of cancer cells. Some studies estimate that a sustained 10% decrease in average stratospheric ozone concentrations would result in 250,000 new cases of nonmelanoma skin cancer. This is in addition to the 1.2 million cases already reported each year (Longstreth et al., 1995; UNEP, 1996). Many animal species, such as cows, goats, sheep, cats, and dogs, are also at increased risk of developing skin cancer as a result of increased exposure to UV-B radiation (UNEP, 1998). In an assessment of the effect of the Montreal Protocol and its amendments in protecting the ozone layer, Slaper and his colleagues (1996) concluded these efforts will substantially decrease the growth rate of the incidence of skin cancer over the next century. They found that under a scenario where there were no limits on the production and consumption of ozone-depleting substances, there would be a quadrupling in the incidence of skin cancer by the year 2100. Under the provisions of the Montreal Protocol (a 50% reduction in the production of CFCs by 1999), a doubling in the incidence of skin cancer could be expected in that same period. In contrast, they found the Copenhagen Amendments scenario (a complete phase-out in the production of 21 ozone-depleting substances by January 1, 1996) would result in a 10% increase in skin cancer incidence, peaking in the year 2060. This study lends support to the importance of international efforts to combat stratospheric ozone depletion. Researchers believe that skin exposure to increased levels of UV-B radiation is also linked to modifications in the human immune system. As a result, the ability of the immune system to respond to certain infectious diseases, such as tuberculosis, leprosy, and Lyme disease, is impaired (UNEP, 1998). Longstreth and her colleagues (1995) predict that higher levels of UV-B will result in increased severity and duration of diseases such as lupus rather than an increase in their incidence. The balance of evidence indicates that increased UV-B radiation can have harmful effects on many species of aquatic organisms and the aquatic systems in which they live (SCOPE, 1993; UNEP, 1998). For example, studies in the Antarctic have linked increased UV-B levels to reduced phytoplankton productivity. Phytoplankton are the basis for the oceanic food chain. UV-B radiation affects the DNA, photosynthesis, enzyme activity, and nitrogen incorporation of phytoplankton. Reduced phytoplankton productivity will likely lead to reduced productivity further up the food chain. It has been estimated that a 16% reduction in stratospheric ozone could lead to a 5% loss of phytoplankton causing a loss of 7 million tons of fish worldwide per year (Hader et al., 1995; UNEP, 1994, 1996). Figure 1 illustrates the effects of UV-B radiation on phytoplankton. Food web in the ocean? Figure 1 Effects of UV-B radiation on phytoplankton (from Hader et al, 1995, p. 178). ozone depletion has serious implications for the world food supply. Globally, 30% of the animal protein consumed by humans comes from the oceans. The percentage is much higher in developing countries (UNEP, 1998). These impacts are particularly worrisome in light of the growing world population. Scientific understanding of the impact of enhanced UV-B on terrestrial plants and ecosystems is incomplete. The majority of studies have been conducted in growth chambers and greenhouses under controlled conditions, conditions that are often quite different from those experienced in the field. Thus, researchers contend it is necessary to use caution in making generalizations about the impacts of enhanced UV-B on terrestrial plants. The results of existing studies need to be verified under field conditions (Caldwell et al., 1995). Keeping the limitations of existing research in mind, it is still possible to make some statements about the effect of enhanced UV-B on terrestrial plants. It appears that increased UV-B radiation may have both direct and indirect effects on plants. Some plant species exhibit a reduction in leaf area and/or stem growth when exposed to higher levels of UV-B. In addition, UV-B may also inhibit photosynthesis, damage plant DNA, and alter the time of flowering as well as the number of flowers in some species. The latter has implication for the availability of pollinators and thus the reproductive capacity of plants (Caldwell et al., 1995; UNEP, 1998). The effects of UV-B on plants are not always straightforward but rather depend on the species, the cultivar, and developmental stage of the plants as well as mineral nutrition in the soil, drought, and local air pollutants (Caldwell et al., 1995; UNEP, 1998). In affecting plants, enhanced UV-B radiation may ultimately lead to changes in entire ecosystems. In nonagricultural ecosystems (e.g., forests and grasslands), the balance of plants may change as some species are less able to respond to increases in UV-B radiation and their productivity declines. At the same time, the productivity of more responsive species will likely increase. The overall species composition of ecosystems will change, as will species interactions and ecosystem dynamics (Caldwell et al., 1995; UNEP, 1998). October (Austral spring) nearly 60% of the ozone layer over Antarctica was depleted (Farman et al., 1985), Researchers have also found that other regions of the globe experience seasonal decreases in the stratospheric ozone layer. In the midlatitudes, decreases are most severe during the winter/spring months (WMO, 1995). The 1992 and 1993 Antarctic ozone "holes" were the most severe on record; in some areas, stratospheric ozone was depleted by more than 99%. Researchers believe, however, that these depletions were due at least in part to the eruption of the Mount Pinatubo volcano in 1991. The eruption emitted a substantial amount of sulfate aerosols into the stratosphere, which are believed to enhance the effectiveness of chlorine and bromine as catalysts for ozone destruction (WMO, 1995). The Montreal Protocol on Substances that Deplete the Ozone Layer was signed by 28 countries in September 1987. The Montreal Protocol established specific measures for countries to control worldwide emissions of several ozone-depleting substances. Specifically, the protocol called for a freeze on the consumption and production of ozone-depleting substances at 1986 levels by 1990, a 20% reduction by 1994, followed by a further 30% reduction by 1999. The agreement entered into force in January 1989. While reports of the ozone hole may have prompted countries to move quickly on the issue of ozone depletion,* the fact that the major CFC producers promised alternatives could be developed in a relatively short time also facilitated international cooperation. The Montreal Protocol has undergone four major revisions since 1987. The London Amendments to the Montreal Protocol were passed by the Conference of the Parties (COP) at their second meeting in June 1990. These amendments required industrialized countries to completely phase out CFCs by the year 2000 and expanded the number of ozone-depleting substances controlled by the agreement (Benedick, 1991; Parson and Greene, 1995). The protocol was further amended in 1992 at a COP meeting in Copenhagen. The most significant outcome of this meeting was that the phase-out date for CFCs was moved to January 1, 1996 (Parson and Greene, 1995). In September 1997, parties adopted the Montreal Amendments to the Protocol, which strengthened regulation of methyl bromide. The 1999 Beijing Amendment introduced a 2002 phase-out of bromochloromethane and placed controls on the production of and trade in hydrochlorofluorocarbons (HCFCs - a CFC substitute). As of April 2002, there are 183 parties to the Montreal Protocol. According to a 1995 assessment by the World Meteorological Organization (WMO), the ozone layer is expected to recover by the middle of the next century thanks to these international efforts. CFCs have an atmospheric lifetime of several decades, thus it will take some time before concentrations of these ozone-depleting substances decrease. Researchers expect global UV levels to peak around the turn of the century after which they expect atmospheric concentrations of chlorine and bromine to begin to decline, thereby slowing ozone depletion (UNEP, 1998; WMO, 1995). Figure 3 illustrates the impact of the Montreal Protocol and its amendments on stratospheric ozone levels. * There is ongoing debate on the role of the ozone hole in the international policy process. For more information, see Benedick (1991), Lambright (1995), Morrisette (1992), Ungar (1995). 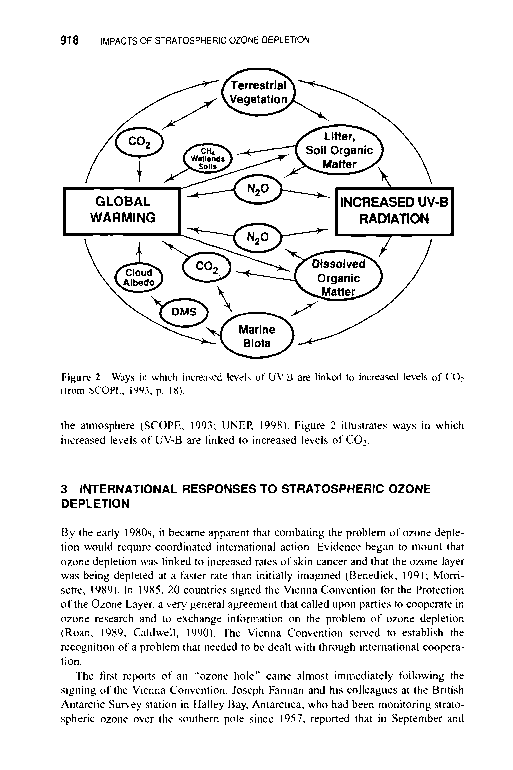 Figure 3 Impact of Montreal Protocol on stratospheric ozone levels (from WMO, 1994, p. 28). Despite the tremendous progress made in addressing the problem of stratospheric ozone depletion, challenges remain. For example, the major replacements for CFCs, HCFCs and hydrofluorocarbons (HFCs), are not totally benign in their effects on stratospheric ozone and may pose other environmental risks. HCFCs do have the potential to deplete stratospheric ozone. However, their atmospheric lifetime is much shorter than for CFCs; thus their ozone-depleting potential is lower than for CFCs and halons (WMO, 1995). In addition, some HCFCs and HFCs react with agents in the atmosphere to produce trifluoroacetic acid (TFA). Once produced, TFA returns to Earth's surface via precipitation. TFA is mildly toxic to both marine and freshwater phytoplankton. There is concern that TFA levels in some areas, particularly those with restricted aquatic outflow, will become toxic (Haderet al., 1995; Schwarzbach, 1995). Perhaps the greatest remaining challenge in addressing stratospheric ozone depletion is the need to regulate methyl bromide. Bromine, which is derived from methyl bromide, is estimated to be 50 times more efficient at destroying stratospheric ozone than chlorine (O'Meara, 1996; WMO, 1995). Methyl bromide, which has an average atmospheric lifetime of 1.3 years, accounts for between 5 and 10% of observed ozone depletion. This could increase to 17% if emissions continue to grow at current rates (O'Meara, 1996). The majority of methyl bromide entering the atmosphere originates from the oceans. This source accounts for 60 to 160 ktons of methyl bromide a year. The primary anthropogenic sources derive from soil fumigation (20 to 60 ktons per year), biomass burning (10 to 50 ktons per year), and exhaust from cars using leaded gasoline (0.5 to 1.5 ktons per year) (WMO, 1995). In addition to its ozone-depleting potential, methyl bromide is also highly toxic to humans and animals. Exposure may result in a variety of symptoms including dizziness, headaches, nausea, respiratory irritation, persistent numbness in the extremities, convulsions, and, in extreme cases, coma or death (Longstreth et al., 1995). In 1992, parties to the Montreal Convention agreed that developed countries should freeze production of methyl bromide at 1991 levels by 1995. They strengthened the regulation in 1995 and again in 1997, agreeing to a phase out by January 1, 20005. * Developing countries will be required to freeze production of methyl bromide in 2002 based on an average for the years 1995 to 1998. The Montreal Amendments, passed in 1997, established a schedule for phasing out methyl bromide production in developing countries by 2015. Unfortunately, these regulations pertain only to the production of methyl bromide; they do nothing to eliminate the use of methyl bromide. The case of stratospheric ozone depletion and the international response to it offer several lessons for dealing with future similar environmental challenges. First, it illustrates that technology may be both a cause and a solution to global environmental problems. The development of CFCs and the use of methyl bromide as a pesticide beginning in the 1930s increased concentrations of ozone-depleting substances in the atmosphere and thus increased the rate of ozone depletion. At the same time, the development of alternative technologies such as HCFCs and HFCs is often seen as the key to motivating countries to take aggressive measures to address the problem of ozone depletion. Without these alternatives, the cost of phasing out the use of CFCs would have been prohibitive. The ozone case also reminds us that there are no easy trade-offs. While CFCs have high ozone-depleting potential, their alternatives are not entirely environmentally sound. HCFCs and HFCs do have some ozone-depleting potential (though much lower than for CFCs) and may have other negative effects on the environment. Addressing environmental issues often requires making painful choices. * The United States will phase out production of methyl bromide in 2001 as part of the Clean Air Act Amendments of 1990. Benedick, R., Ozone Diplomacy, Harvard Press, Cambridge, MA, 1991. Cagin, S., and P. Dray, Between Earth and Sky: How CFCs Changed Our World and Endangered the Ozone Layer, Pantheon Books, New York, 1993. Caldwell, L. K., International Environmental Policy: Emergence and Dimensions, Duke University Press, Durham, NC, 1990. Caldwell, M. M., A. H. Teramura, M. Tevini, J. F. Bornman, L. O. Bjora, and G. Kulandaivelu, Effects of increased solar ultraviolet radiation on terrestrial plants. Ambio, 24, 166-173, 1995. Farman J. C., B. G. Gardiner, and J. D. Shanklin, Large losses of total ozone in Antarctica reveal seasonal CIOx/NOx interaction, Nature, 315, 207-210, 1985. Hader, D. P., R. C. Worrest, H. D. Kumar, and R. C. Smith, Effects of increased solar ultraviolet radiation on aquatic ecosystems, Ambio, 24, 174-180, 1995. Lambright, W. H., NASA, ozone, and policy-relevant science, Res. Policy, 24, 747-760, 1995. Lipkin, R., Ozone depletion research wins Nobel, Sei. News, 148, 262, 1995. Longstreth, J. D., F. R. de Gruijl, M. L. Kripke, Y. Takizawa, and J. C. van der Leun, Effects of increased solar ultraviolet radiation on human health, Ambio, 24, 153-165, 1995. Molina, M. J., and F. S. Rowland, Stratospheric sink forchlorofluorocarbons: Chlorine atomic-atalysed destruction of ozone, Nature, 249, 810, 1974. Morrisette, P. M., The evolution of policy responses to stratospheric ozone depletion, Nat. Resour. I, 29, 793-820, 1989. Morrisette, P. M., The Montreal protocol: Lessons for formulating policies for global warming, Policy Stud. J., 19, 152-161, 1992. National Academy of Sciences (NAS), Environmental Impact of Stratospheric Flight: Biological and Climatic Effects of Aircraft Emissions in the Stratosphere, NAS, Washington, DC, 1975. O'Meara, M., The next hurdle in ozone repair, World Watch, November/December 1996, P. 8. Parson, E. A., and O. Greene, The complex chemistry of the international ozone agreements, Environment, March 1995; pp. 17-20, 35-43. 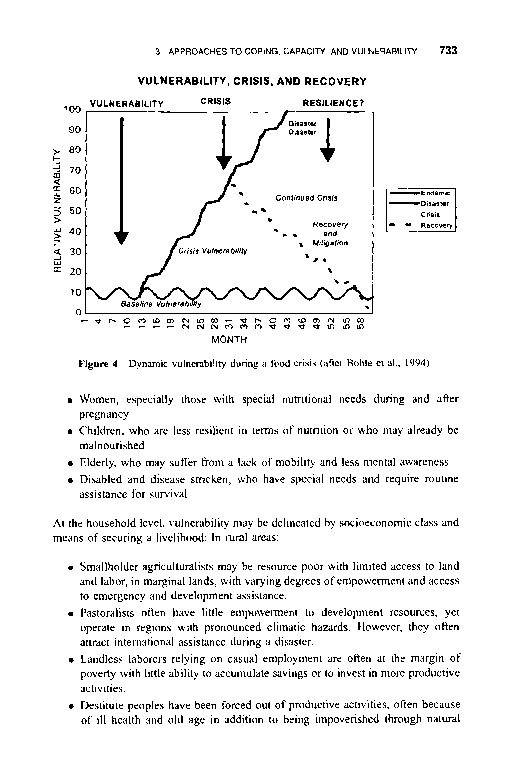 Roan, S., Ozone Crisis: The 15-Year Evolution of a Sudden Global Emergency, J Wiley, New York, 1989. Schwarzbach, S. E„ CFC alternatives under a cloud, Nature, 376, 297-298, 1995. Scientific Committee on Problems of the Environment (SCOPE), Effects of Increased Ultraviolet Radiation on Global Ecosystems, SCOPE Secretariat, Paris, 1993. Slaper, H., G. J. M. Velders, J. S. Daniel, F. R. de Gruijl, and J. C. van der Leun, Estimates of ozone depletion and skin cancer incidence to examine the Vienna Convention achievements, Nature, 384, 256-258, 1996. United Nations Environment Programme, (UNEP), Environmental Effects of Ozone Depletion: Executive Summary, UNEP, Nairobi, Kenya, 1994. United Nations Environment Programme, (UNEP), Environmental Effects of Ozone Depletion: Executive Summary, UNEP, Nairobi, Kenya, 1996. United Nations Environment Programme (UNEP), Environmental Effects of Ozone Depletion: Executive Summary, UNEP, Nairobi, Kenya, 1998. Ungar, S., Social scares and global warming: Beyond the Rio Convention, Soc Nat. Resour., 8, 443^56, 1995. World Meteorological Organization (WMO), Scientific Assessment of Ozone Depletion: 1994, Executive Summary, Global Ozone Research and Monitoring Project-Report No. 37, WMO, Geneva, 1995. How ozone depletion affect hydrology environment?